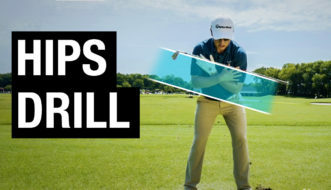 Coming over the top in your golf swing simply means not following the correct club path on your downswing… Instead of swinging down and delivering the club from the inside, your club falls outside of your swing plane, and you end up losing power and/or hitting a nasty slice. 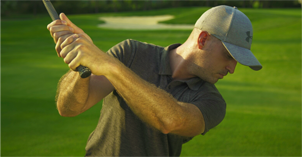 The main reason you’re coming over the top is due to over-use of your body, and the sequence of motion in your swing is off. 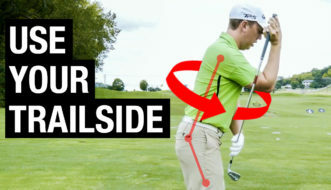 In this video you’ll see a simple way to insure that your initial move away gets you into position for an on-plane swing that avoids the over the top move. 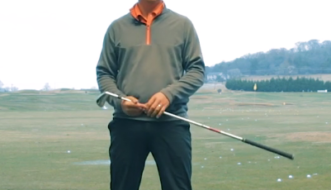 Next, we’ll take a look at your downswing and how to use your arms in your swing and get your club to fall down on plane so you can hit more solid shots with better accuracy, more distance.